Zombie | I Review Too . . .
Well, we can’t say we didn’t see it coming. As characters clash and tensions reach boiling point, us viewers are treated to what’s possibly the best instalment of The Walking Dead so far. Hot off the heels of last week’s antics, Rick and Shane are escorting their recently recuperated tag-along to a remote area in order to give him a fighting chance of survival. The plan’s simple. 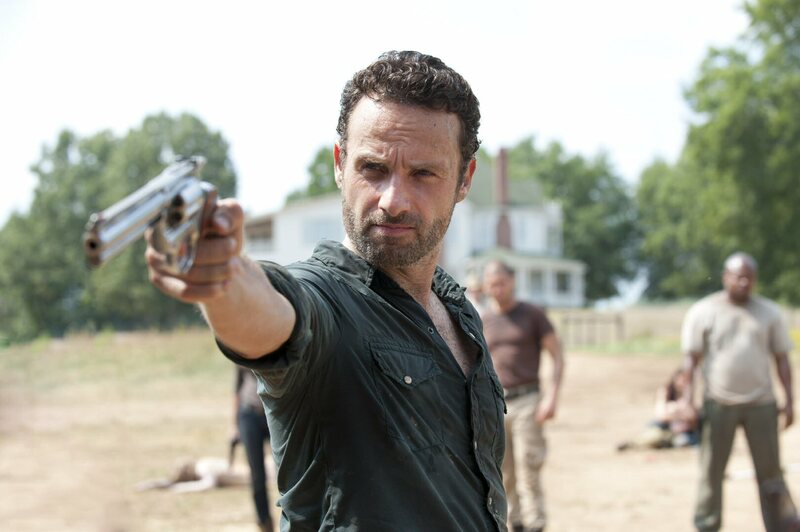 Find a location that’s far away from Hershel’s farm; dump the guy and leave. However when the dead walk the earth, simplicity’s the first thing to jump out the window. Posted in Cool, Features, Film, Reviews and tagged 18 Miles Out, Episode 10, Episode review, Fight, Hershel, Lori, OnTheBox.com, Rick, Shane, Simon Bland, The Walking Dead, Zombie. Bookmark the permalink. Things just won’t let up on The Walking Dead. The events of the past few weeks have strained relationships and pushed people to their limits. This week proves to be no different, as we get ever closer to that inevitable moment where all hell breaks loose. Rick may have saved Glenn and Hershel from a deadly encounter at the bar but his necessary actions weren’t without consequence. It’s not long before the buddies of the two recently deceased drifters start sniffing around forcing Rick to overcome yet another tricky situation. Posted in Cool, Features, Film, Reviews and tagged AMC, Andrea, Chaos, Glenn, gore, Journalist, Lori, Rick, Season 2, Shane, Simon Bland, The Walking Dead, Triggerfinger, undead, Zombie. Bookmark the permalink. The Walking Dead has been bugging the living recently. Well, all those in front of TV screens that is. Their main gripe? It’s a bit too slow, too wordy and lacking in the brain-piercing, blood-spurting zombie mayhem department. Personally I don’t agree. In my opinion, the show’s characters are interesting enough to allow for some story developing chit-chat whilst not losing my goldfish-like attention span. While the gratuitous zombie gore may have been fleeting, every time a grizzly undead meat-head lumbered into view this season it’s been more than memorable. This week, these off-screen tensions spill over onto Hershel’s farm as all hell breaks loose just in time for the mid-season finale. Posted in Cool, Features, News, Reviews and tagged Barn, divide, Episode 7, Farm, Hershel, Pretty Much Dead Already, Rick, Shane, Sophia, The Walking Dead, Zombie. Bookmark the permalink.